This is an unusual product. It’s a concentrated product which you add to water. The bottle contains 48ml of ‘energy squash’, and you are supposed to add 0.8ml of product to every 100ml of water, so per 100ml you only get 20mg of caffeine. But, the bottle has enough juice in it to supply 6 litres of water with caffeinated goodness – that’s 24 cans of Red Bull in a liquid comparison, or about 16 cans if comparing caffeine content. In other words, be careful to water it down enough or you could end up with serious jitters. In reality though, what you end up with is quite a watery tasting drink. I experimented with different concentrations but you’re never really too sure how much to put in. The directions say 1 squirt per 200ml, but how big is a squirt? 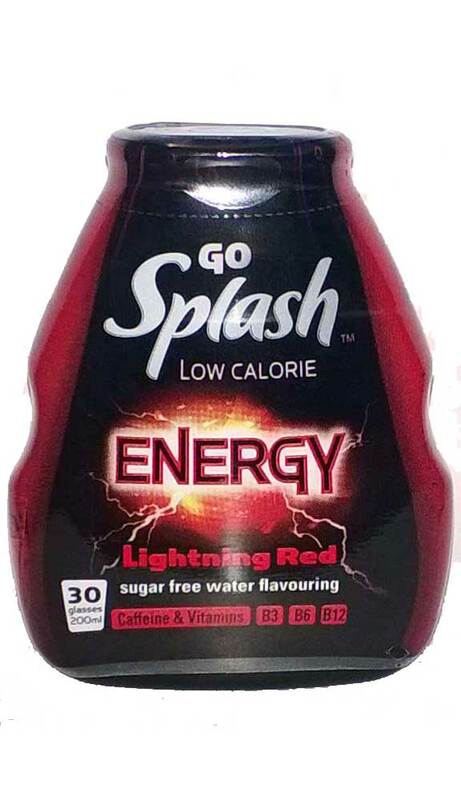 I ended up with about 3 medium squirts in 200ml of water just to get a drink that didn’t taste like manky water, but even at that concentration it tasted more like watered down flat generic energy drink. A good idea, but needs more work. Here’s a tip – don’t use water! I made an acceptable drink by squirting a decent amount in to a glass first, then pouring in Sprite afterwards to make a fizzy and sweet mix-up. Much better than mixing it with water.